When you think one of the most prolific character actors, who's also an outrageous openly gay stand-up comedian, one name comes to mind…. Jason Stuart. Stuart has been making people laugh out loud with his hysterical performances all over the country since coming out in 1993. He has accomplished what few other gay comics have ever achieved: brutal honesty with humor in a world that’s not always kind. Not only is Stuart an all-out crowd pleaser, but he transcends the boundaries of race, gender and sexual orientation with his edgy comedic style. 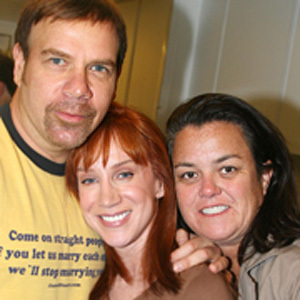 Stuart’s material about his experiences as a single Jewish gay man living in Hollywood is original, cutting edge and just plain funny.Stuart has performed at all of the top comedy clubs & comedy festivals and hundreds of gay events & prides, colleges & universities, and even on Broadway. Since Stuart makes such a strong connection with his audience, he is in high demand by corporate programs with his lecture, Coming Out In Hollywood, on being openly gay in the workplace. Most recently, he appears in Logo’s new comedy series, One Night Stand-Up. Although his semi-celebrity came via stand-up, Stuart is also well-known for his work as an actor playing gay & straight roles on over forty popular television shows. 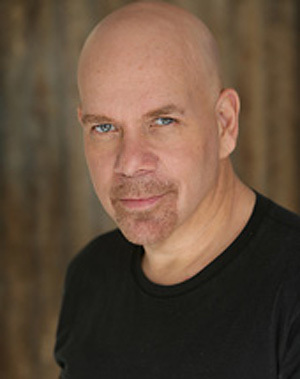 Stuart has wowed audiences on the TV screen with guest roles in hits such shows as The Closer, Will & Grace, George Lopez, Everybody Hates Chris, House, M.D., It's Always Sunny in Philadelphia and Charmed, to name a few. He is best known playing “Dr. Thomas”, the gay family therapist on My Wife and Kids. As a character actor, filmmakers say his talent is a cross between the depth of Philip Seymour Hoffman, the comedy timing of John Ritter and the quirkiness of Steve Buscemi. He has worked with heavy hitters George Clooney, Faye Dunaway, Angelina Jolie, Damon Wayans, Drew Carey, George Lopez, David Spade and even Arnold Schwarzenegger. Stuart was featured in the comedy hit A Day Without a Mexican and the HBO award winning drama Gia. Among the big studio pictures he appeared in, Kindergarten Cop and Vegas Vacation are favorites among TV fans. Stuart has become a major player in the independent film world after being nominated for a Gay International Film Award for best supporting actor in Coffee Date. Proving that he is more than just an actor and comedian, Stuart also produced and starred in his own totally improvised independent film 10 Attitudes. This award winning romantic comedy proved to be a huge success both in the U.S. and abroad. In addition to that, he just completed the remake of Edgar Allan Poe’s horror film, The Pit & the Pendulum where he plays the villain. Stuart uses his talents as an openly gay actor and comedian to support the community by performing at countless benefits for issues from AIDS to the homeless. He is the Chairman of the first ever Screen Actors Guild LGBT Committee, and also chairs the comedy shows for Lifeworks Mentoring Program. 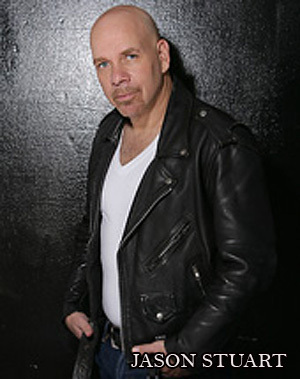 Stuart released his stand-up comedy CD, Jason Stuart: Gay Comedy Without A Dress with great success. In addition to that, his stand-up comedy special, Jason Stuart: Making It To The Middle for Here! TV is now available on DVD. His groundbreaking stand up comedy and his versatility as an actor make his career an amazing ride. To book Jason Stuart, please contact Lisa Darden at lisa@huptalentandbooking.com or call 240-446-1554.